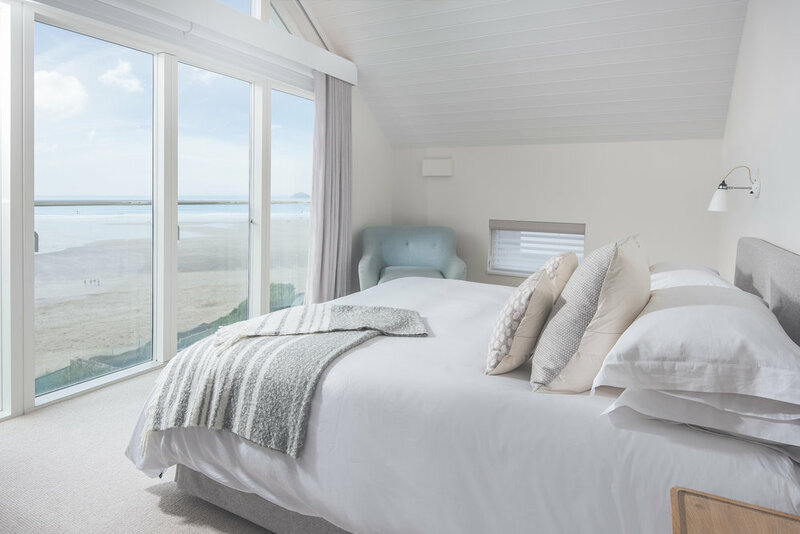 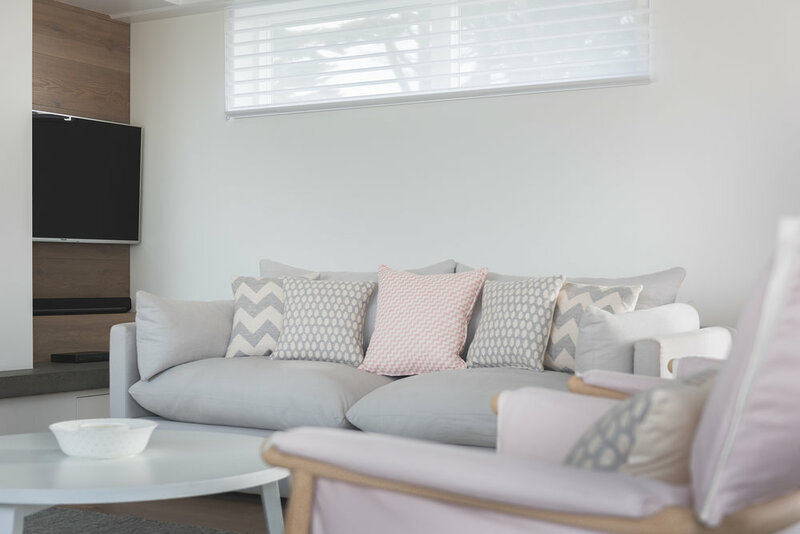 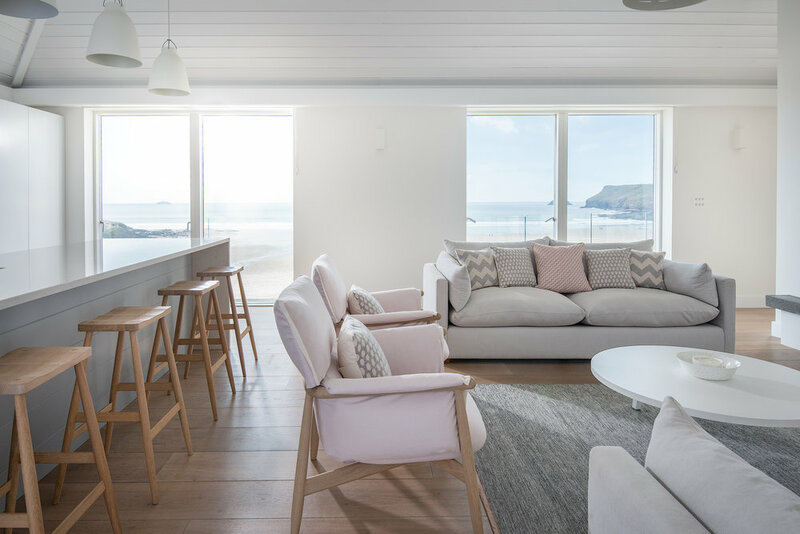 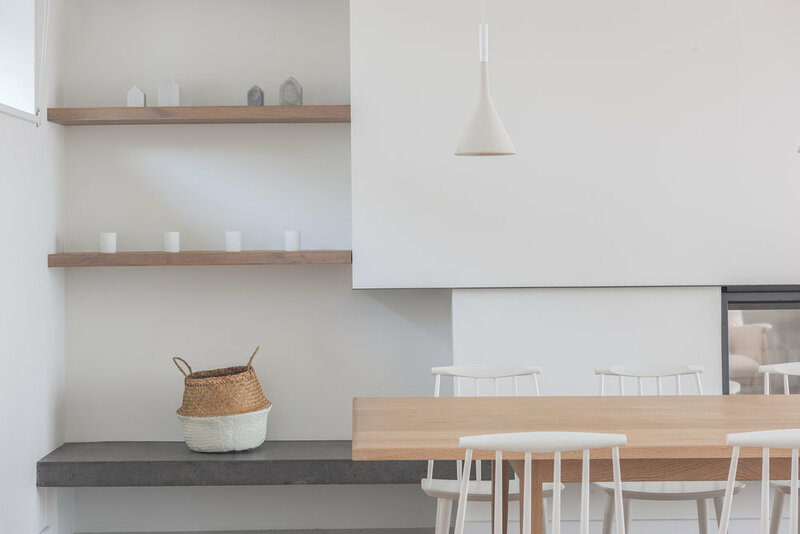 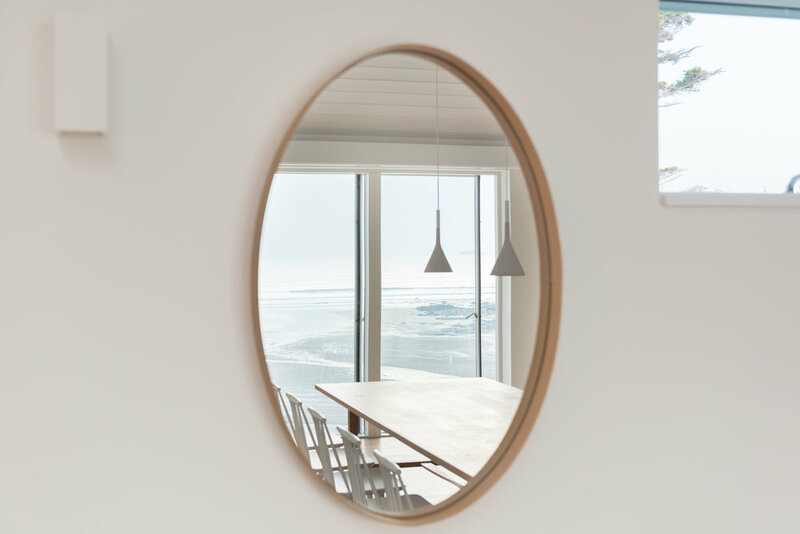 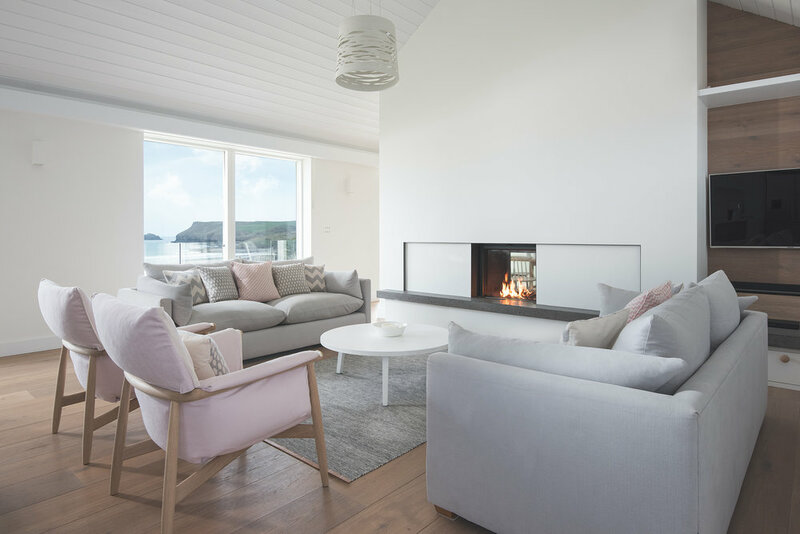 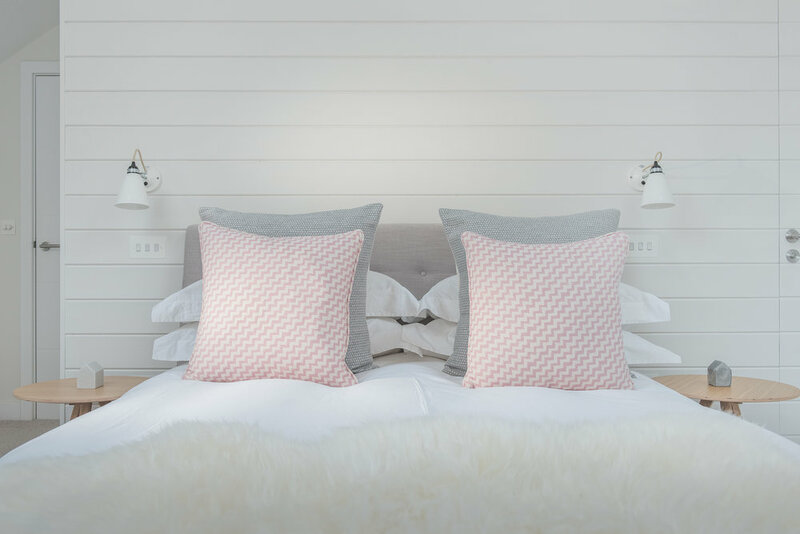 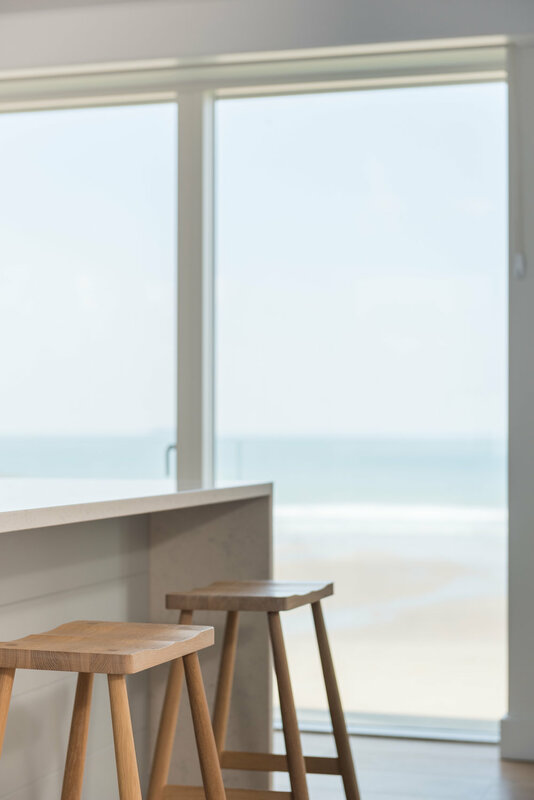 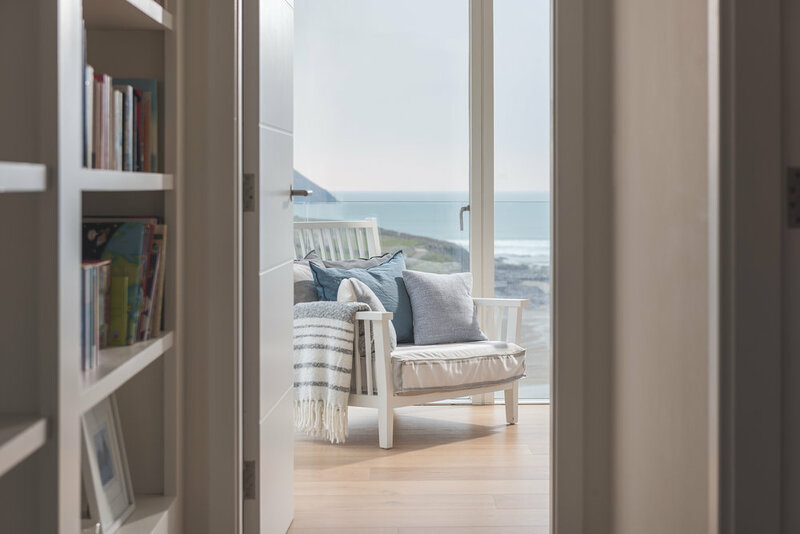 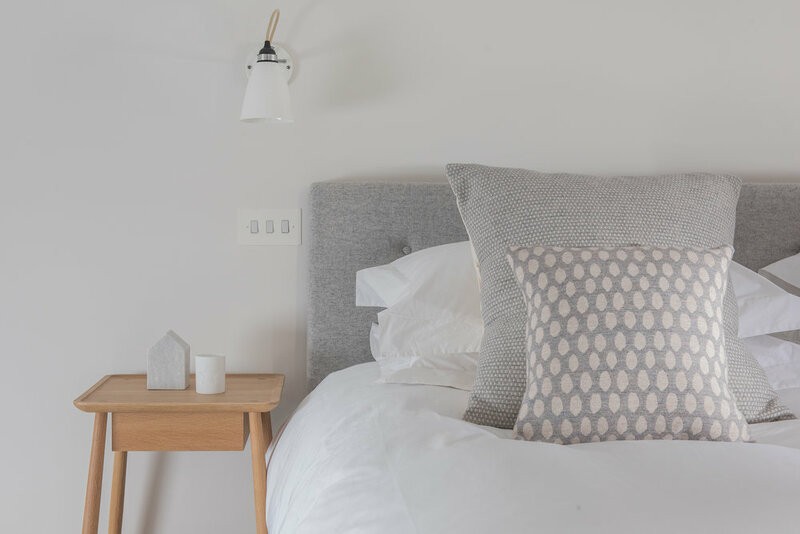 The interior design service for this large 6-bedroom, beachside property in Polzeath included full specification of furniture, finishes, accessories and on-going consultation with the client. 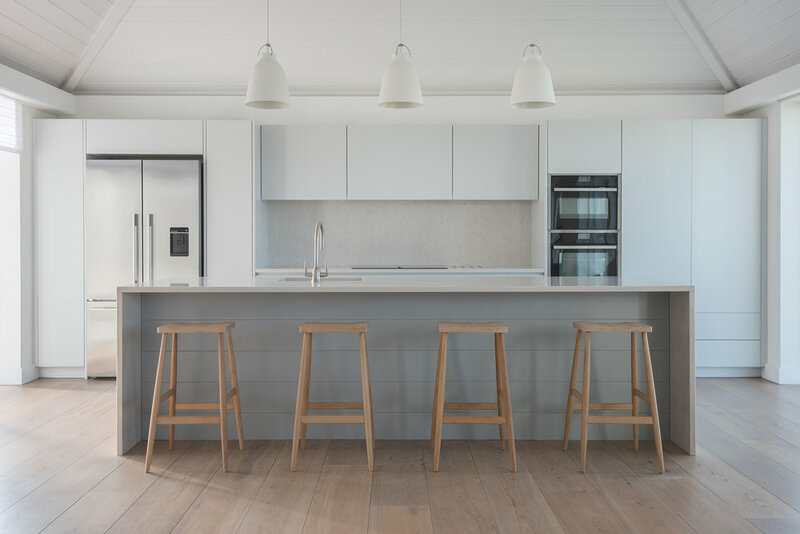 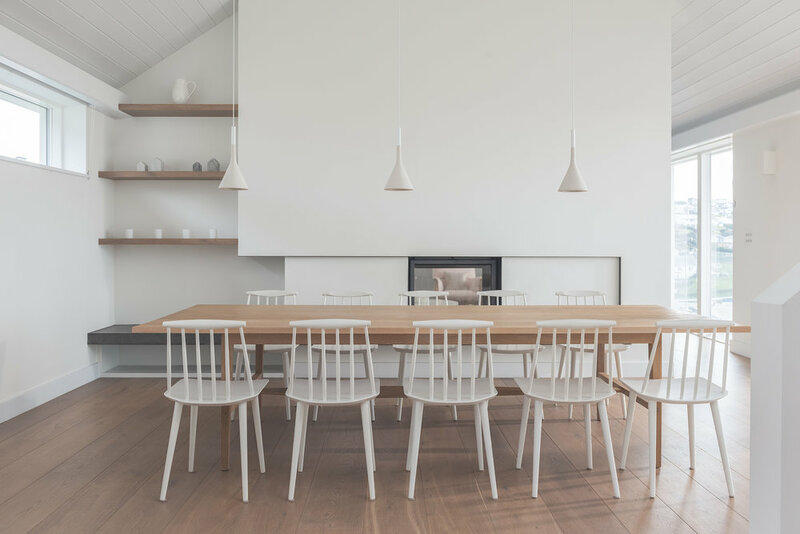 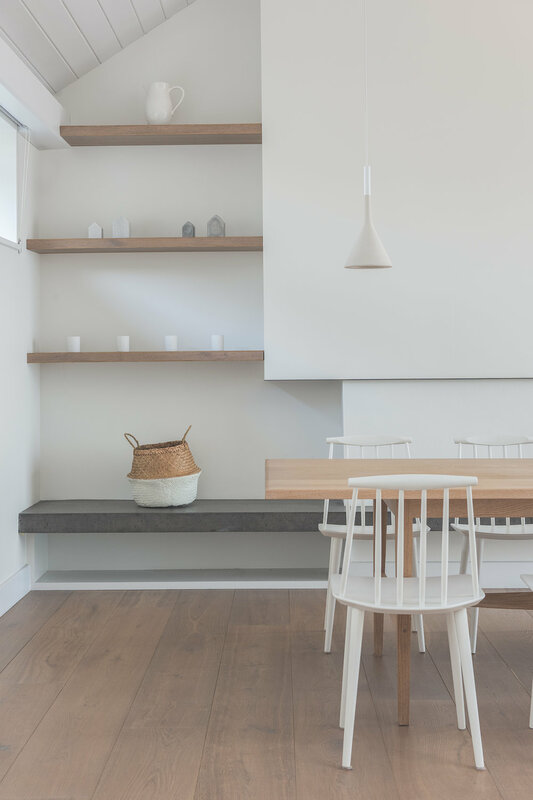 The tailored furniture package included a bespoke oak dining table design by Tom Raffield, individually customised lounge chairs, sofas, beds and other upholstery. 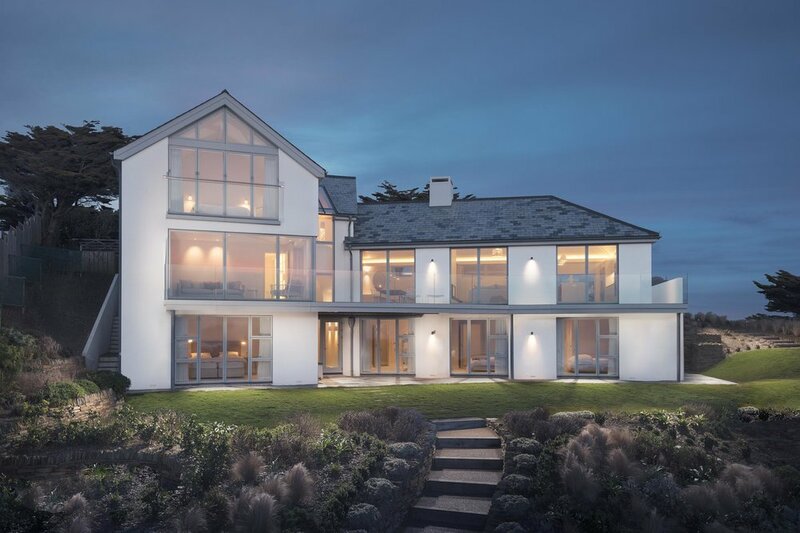 The design specification also included custom window coverings and colour scheme, all carefully selected in order to compliment the breathtaking position of the property and beauty of the surroundings. 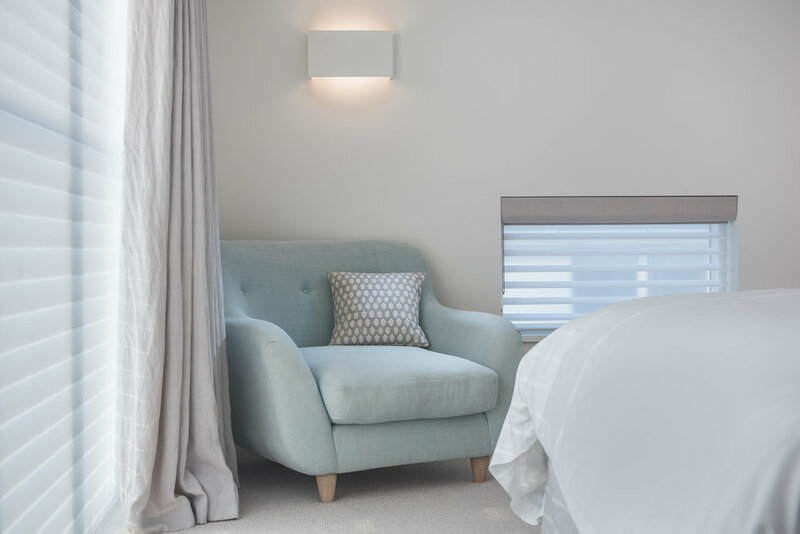 The design service also included a bespoke lighting scheme, providing consistency throughout the entire interior scheme.